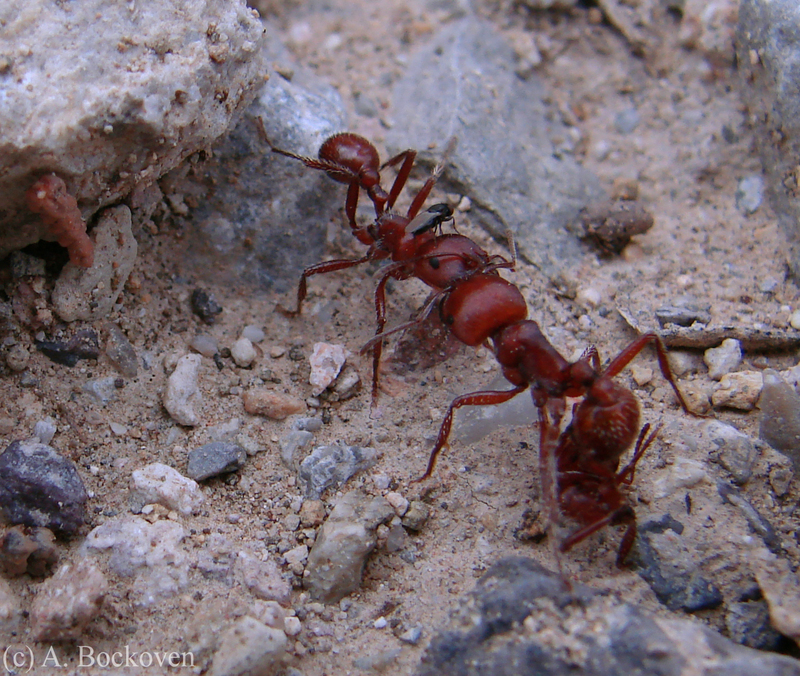 Pogonomyrmex and Aphaenogaster ants wrestle for a cookie crumb. 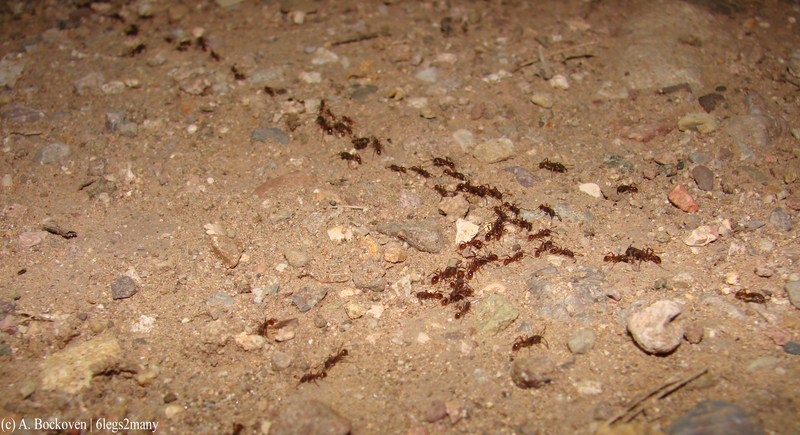 I can’t speak for any given ant (I, personally, prefer Thin Mints), but the desert ants of Arizona certainly did seem to like pecan sandies. 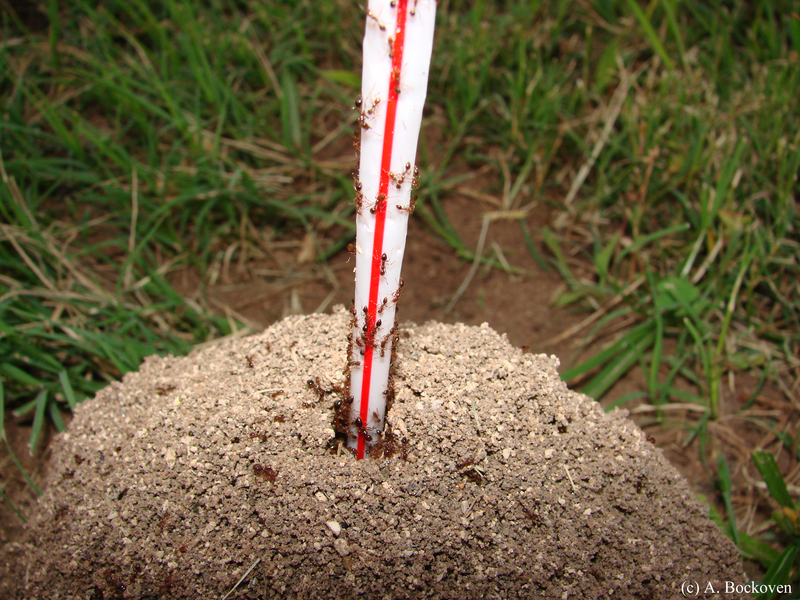 I’m also going to go out on a limb and speculate that these cookies are useful as assay tools for their combination of sugars, proteins, and lipids in order to attract ants with a broad variety of diets. 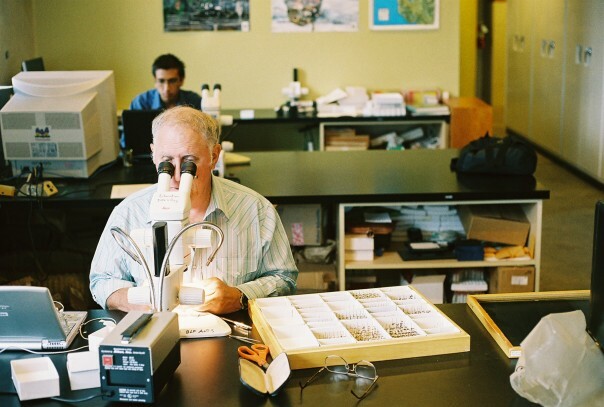 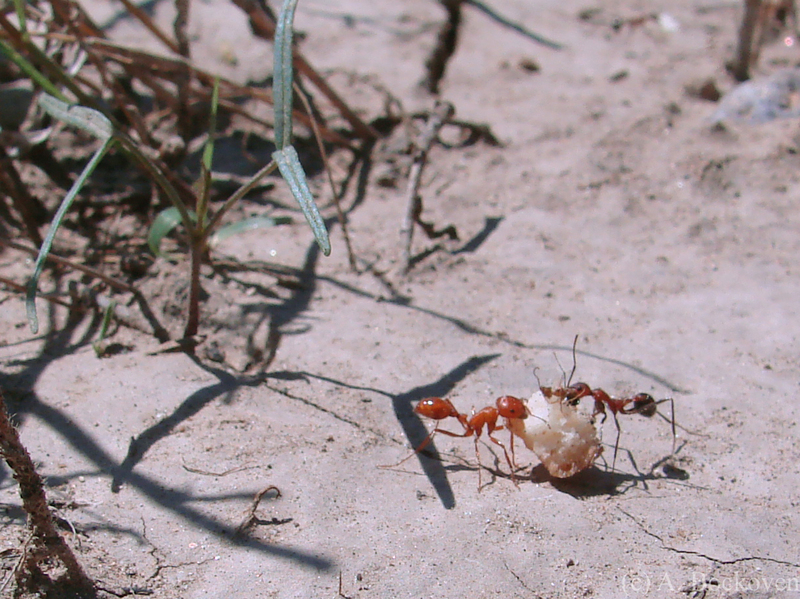 Two different species of desert ants continue to wrestle for a cookie crumb. 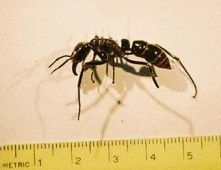 Pogonomyrmex (harvester ants) and Aphaenogaster (BugGuide calls these the “spine-waisted ants”) were by far the dominant species in the area. 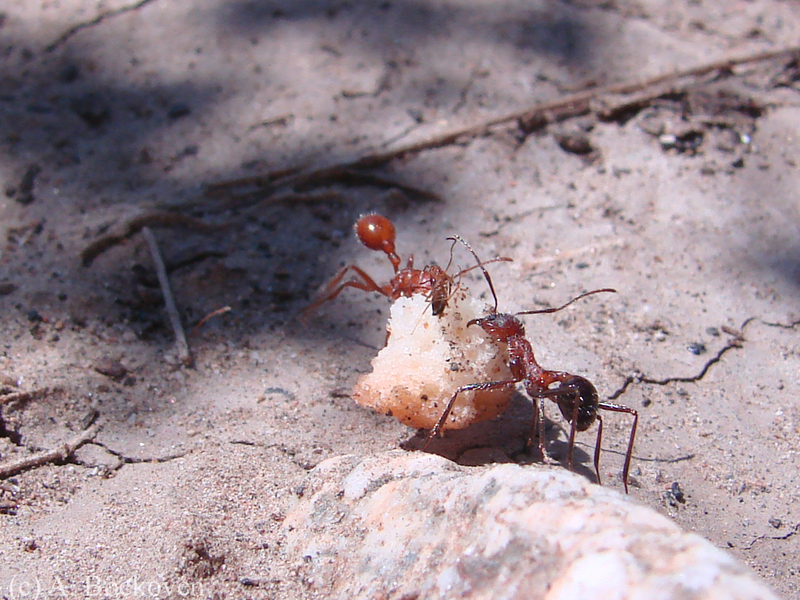 The ants pictured above wrestling over a cookie crumb were in between two nests, and each was determined to get the prize back to her own colony. 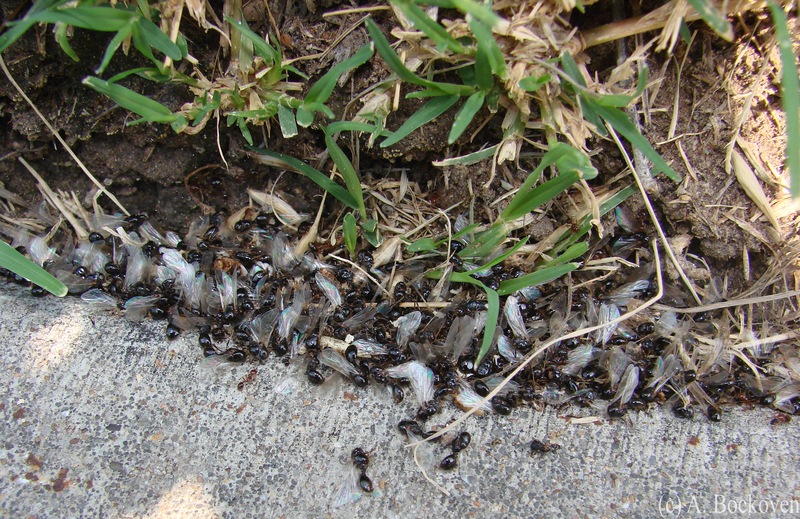 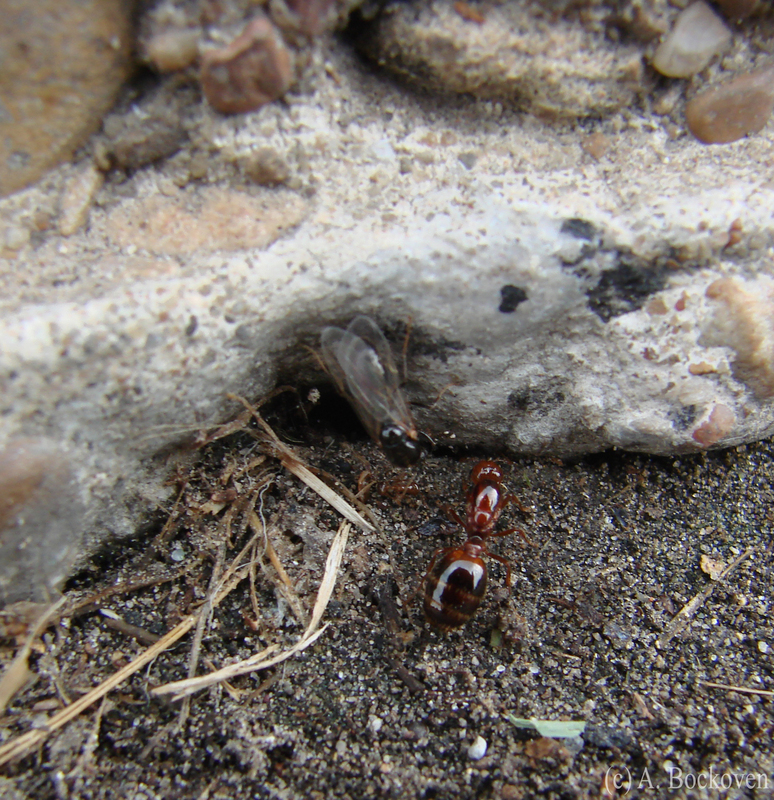 I watched the ants play tug-of-war for several minutes, sometimes even picking up the cookie crumb with the other ant attached (as in the photo above). 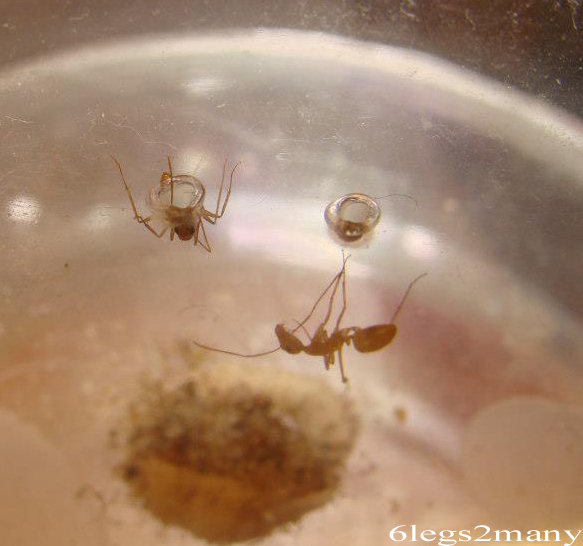 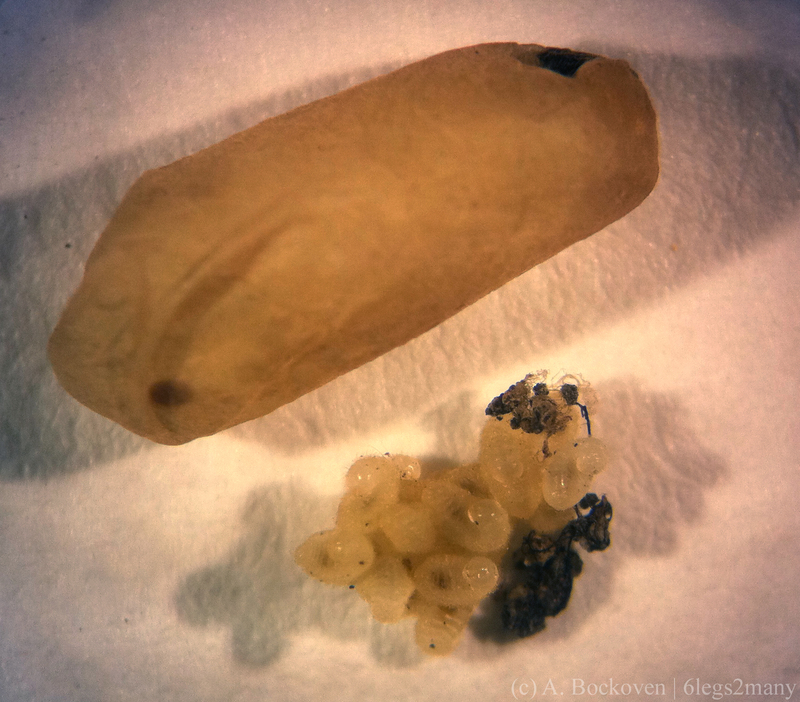 Finally, the Aphaenogaster was joined by two of her nestmates, and the out-numbered pogo almost immediately surrendered the prize and fled the scene. 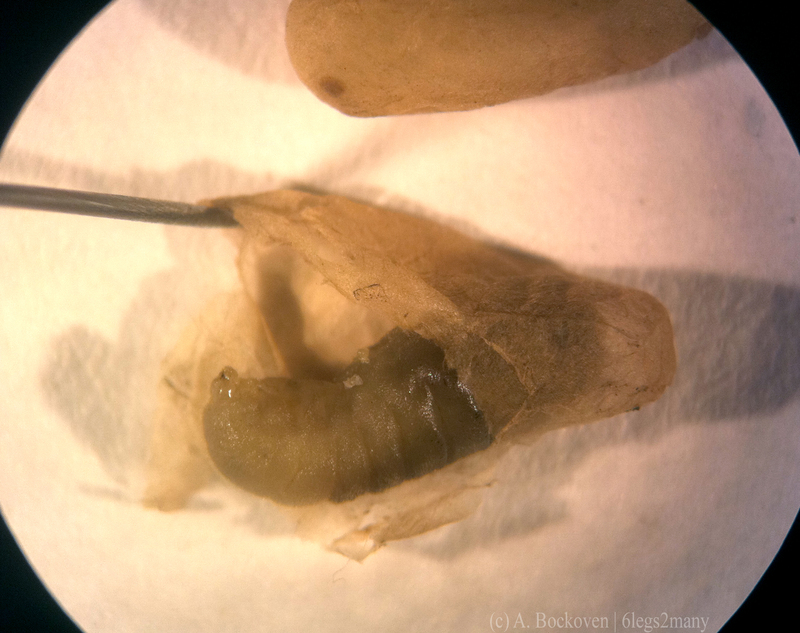 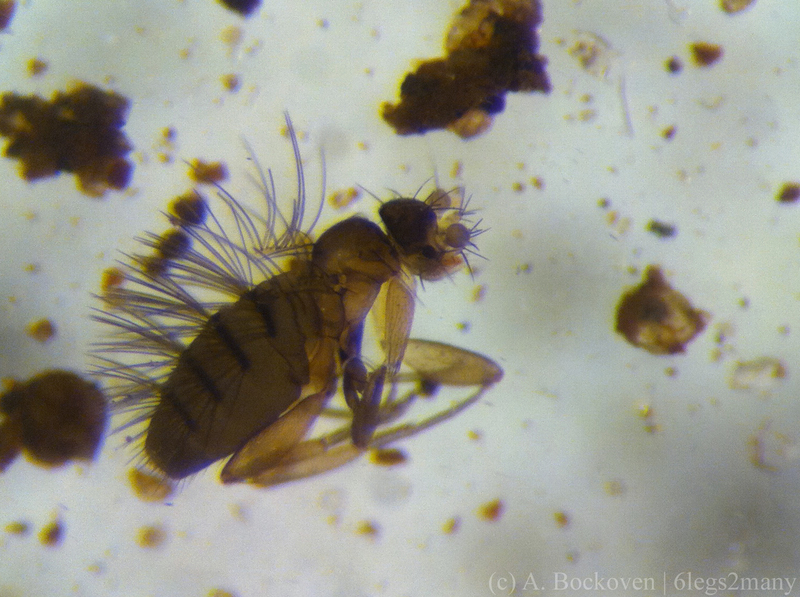 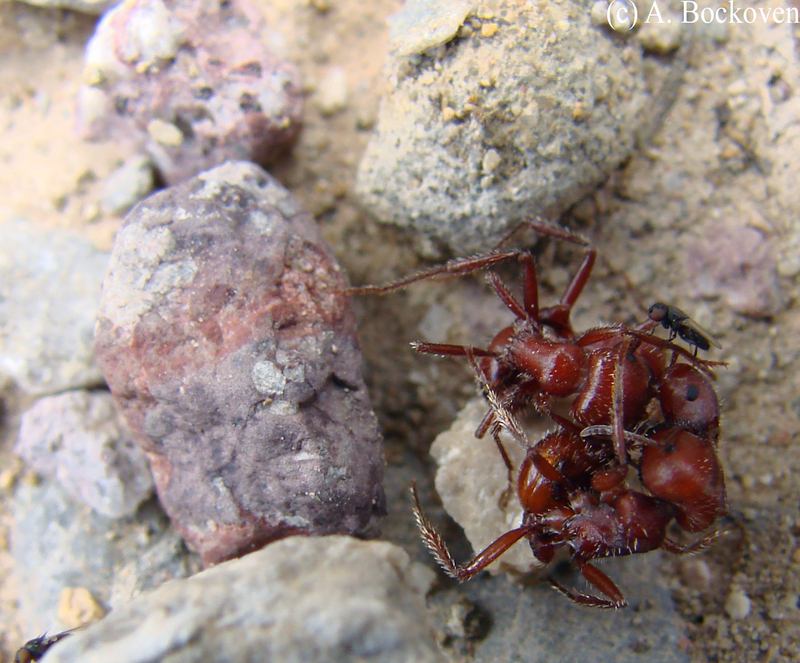 A rousing victory for Aphaenogaster-kind, who I assume went home to celebrate with cookies and tea. 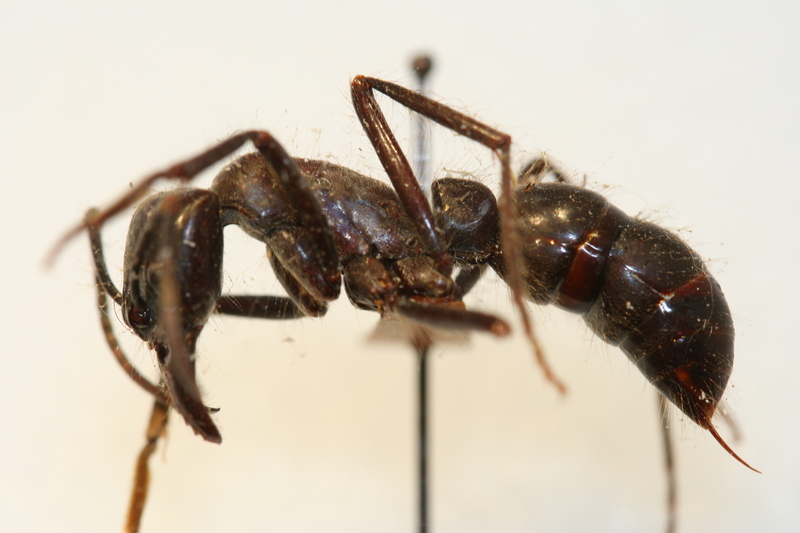 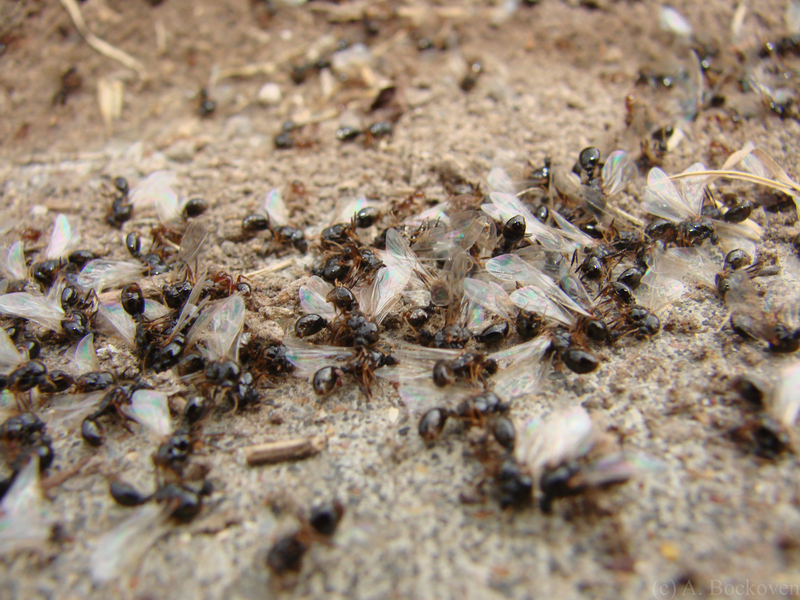 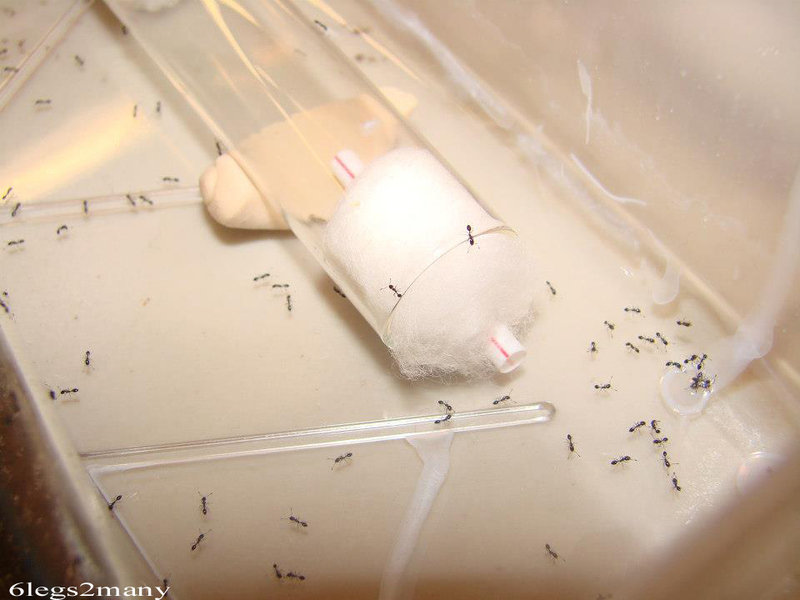 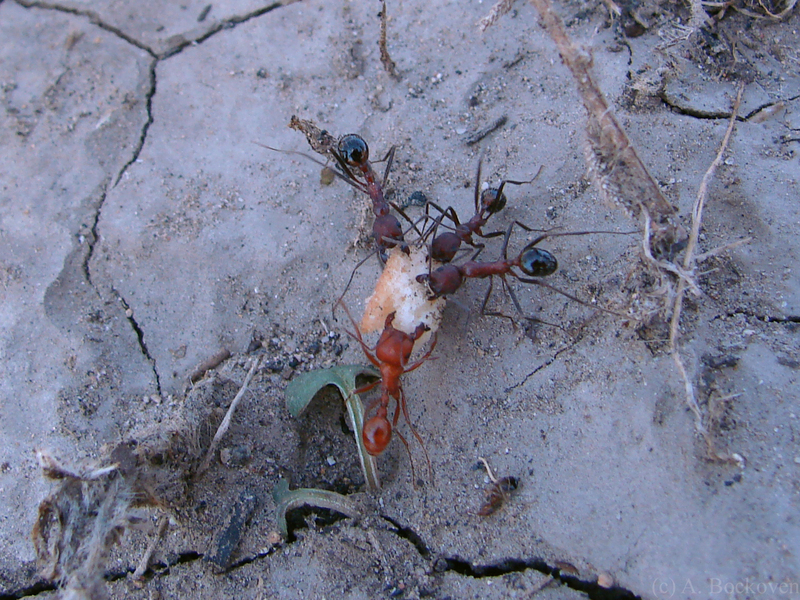 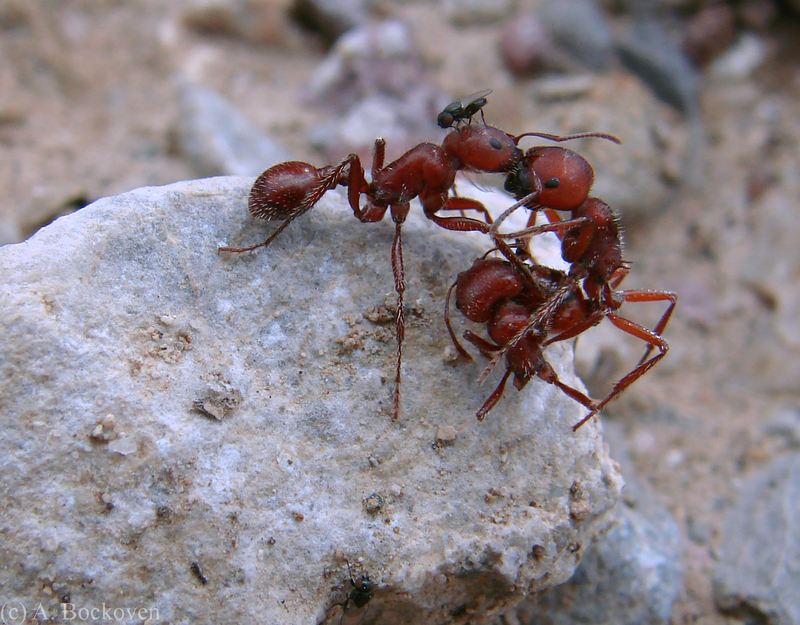 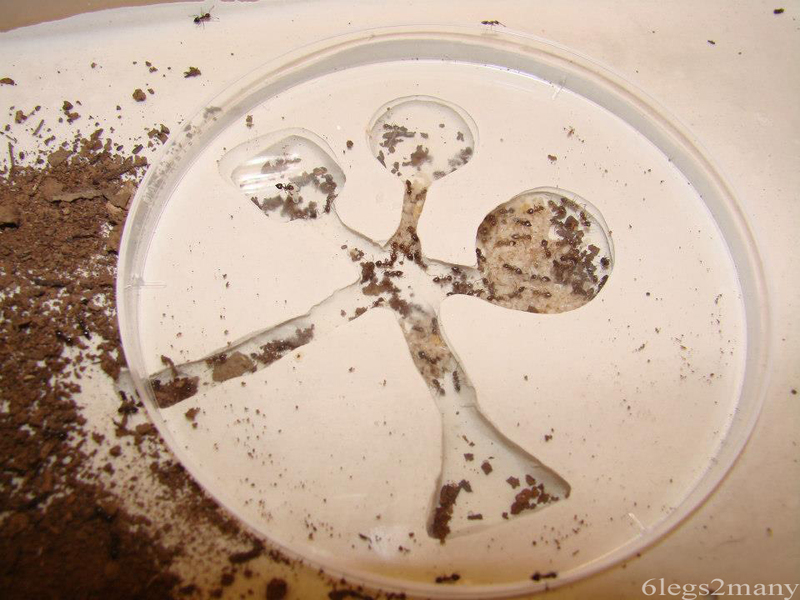 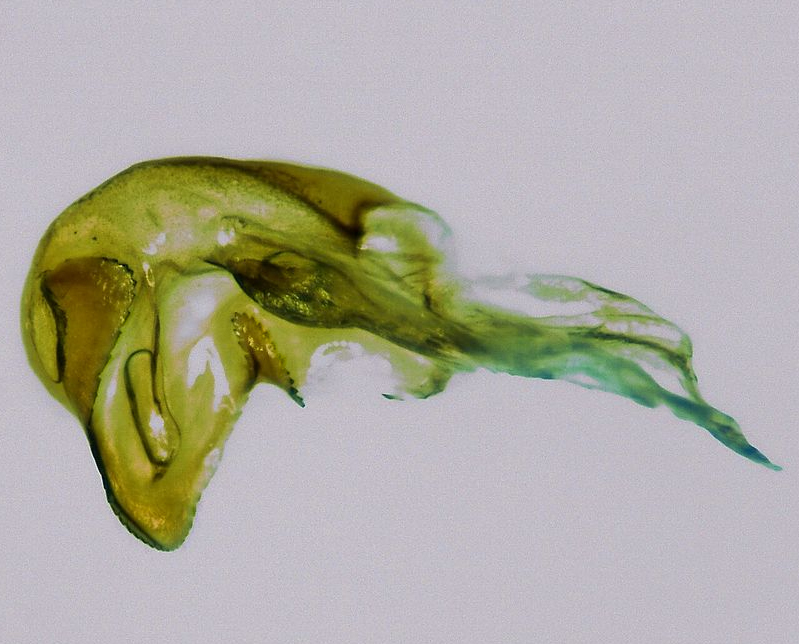 Aphaenogaster ants team up to wrestle a cookie crumb away from a lone Pogonomyrmex ant. 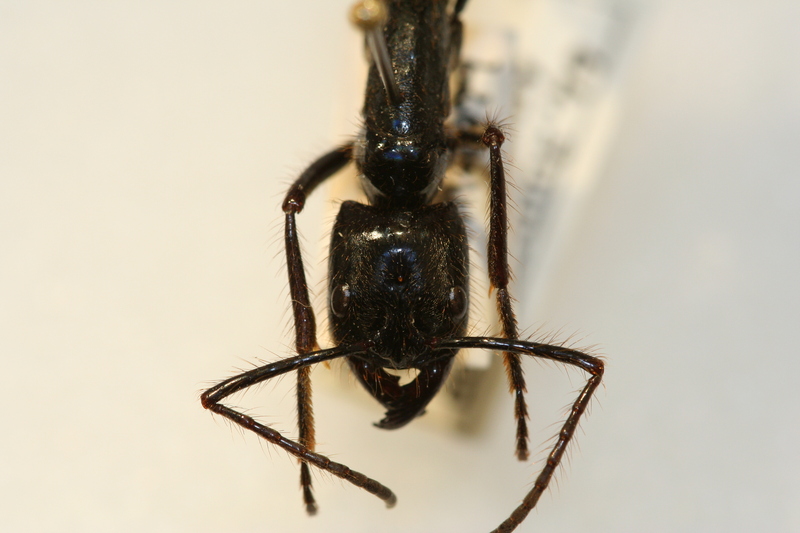 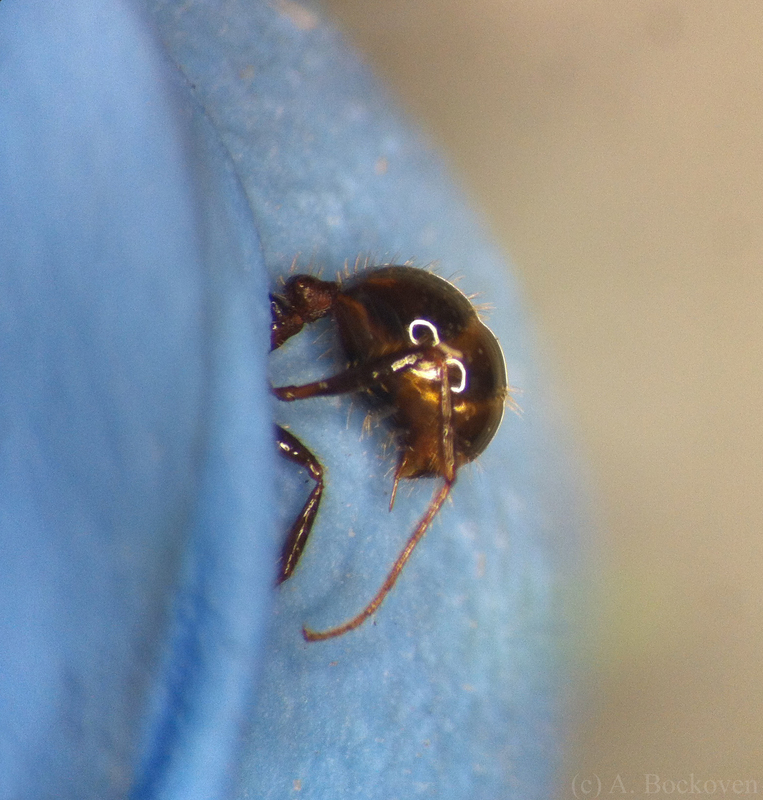 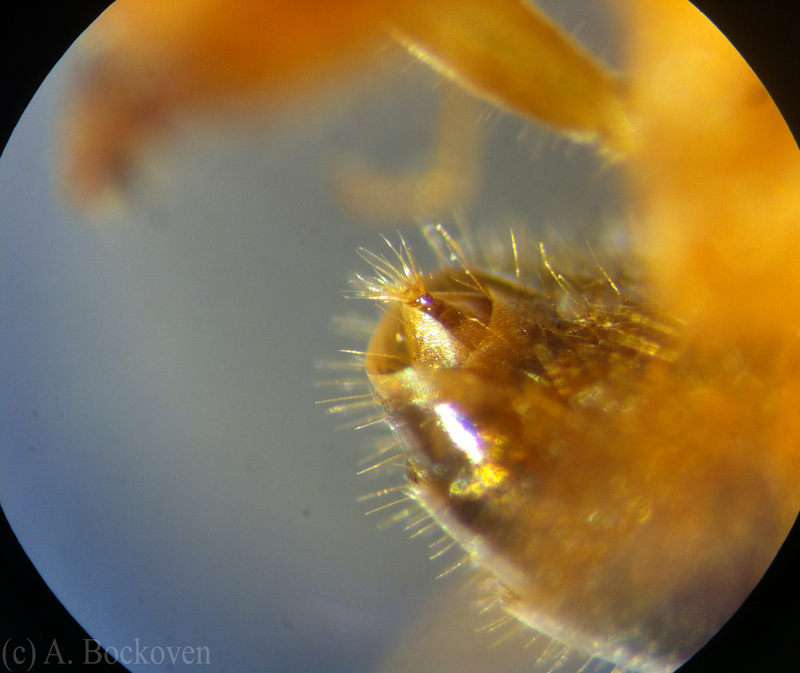 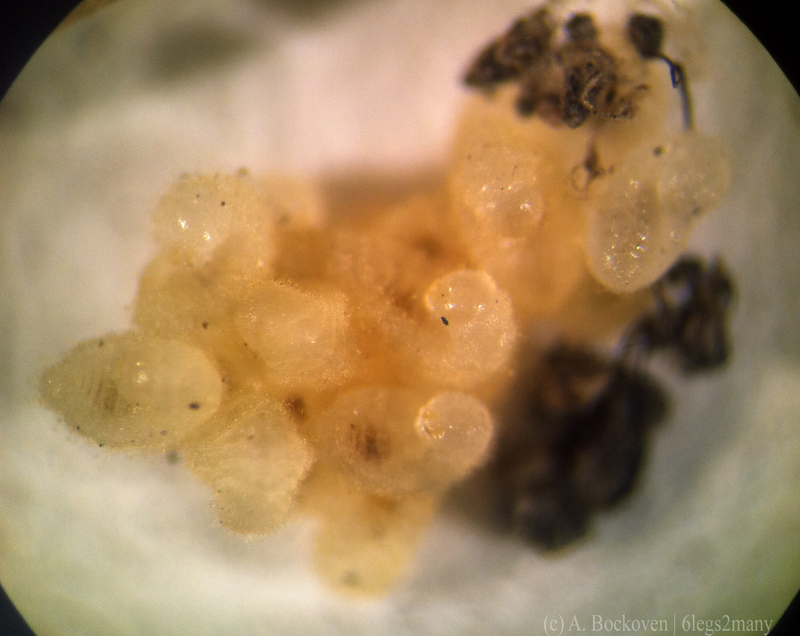 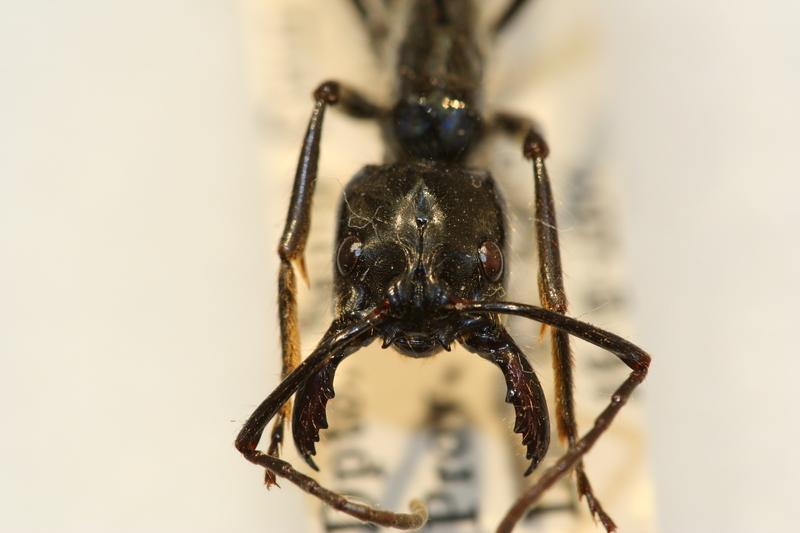 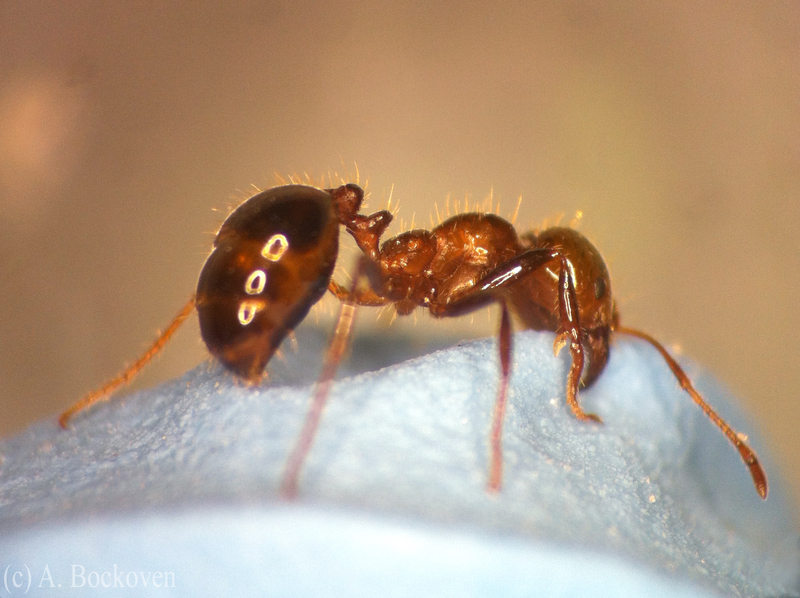 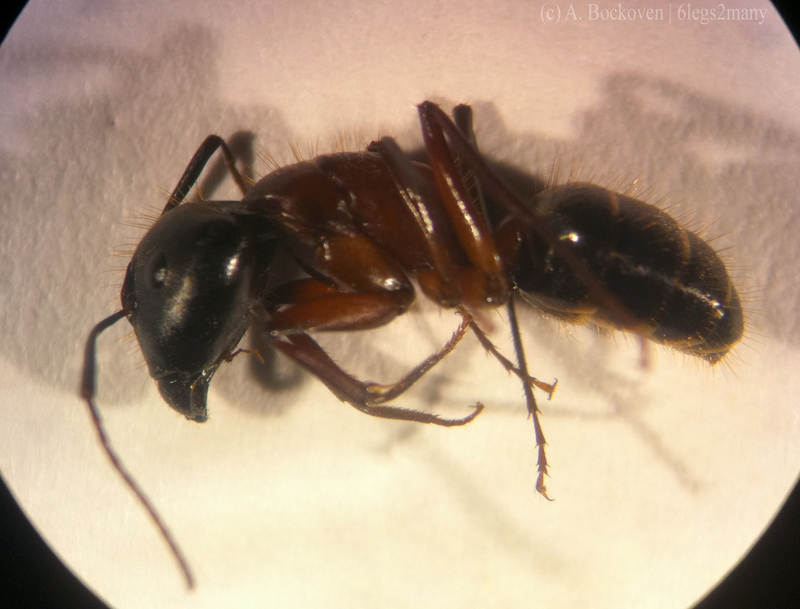 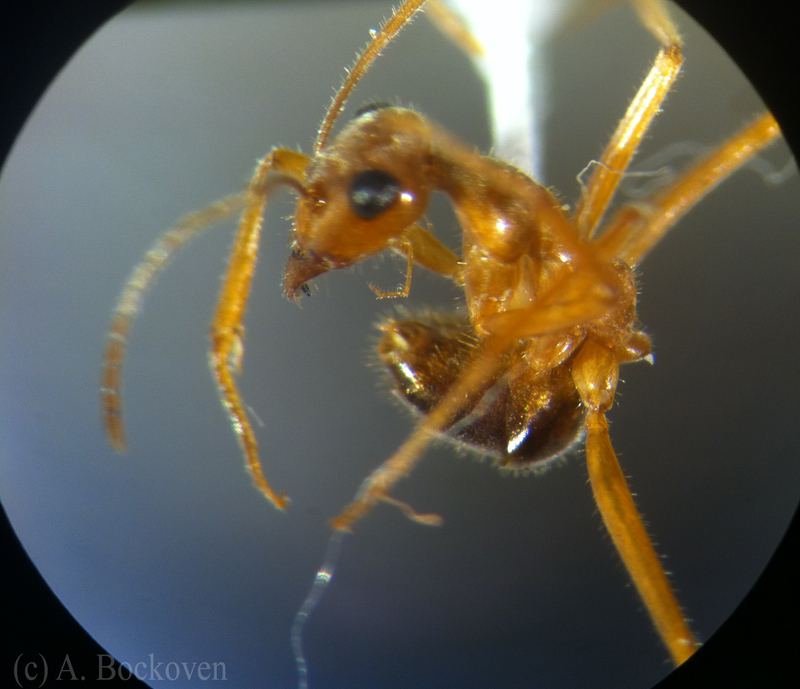 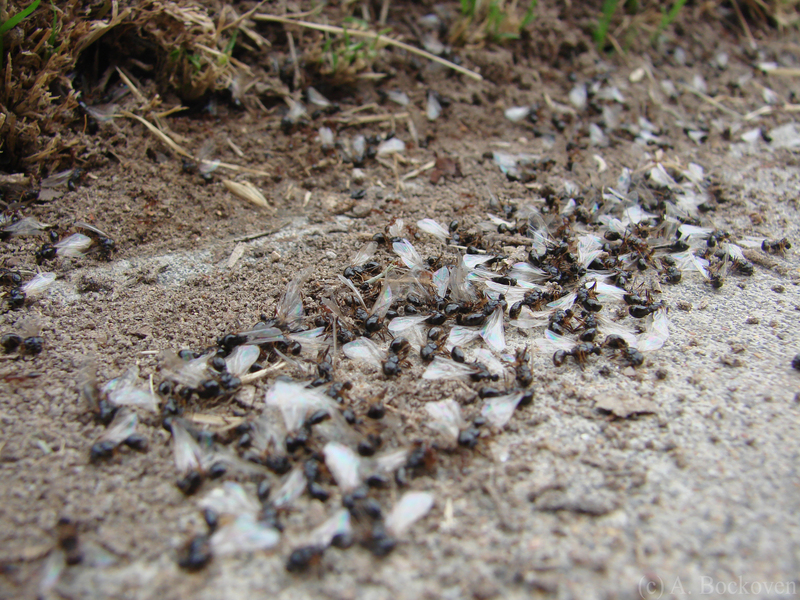 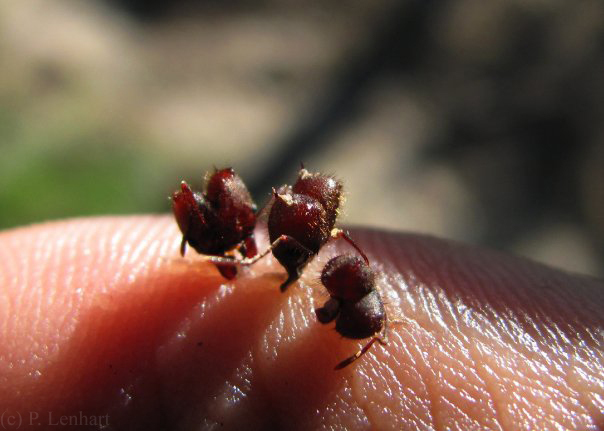 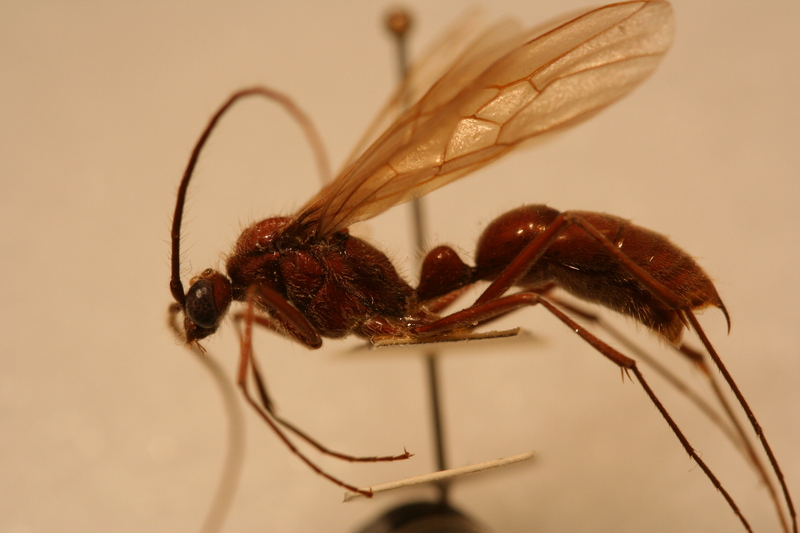 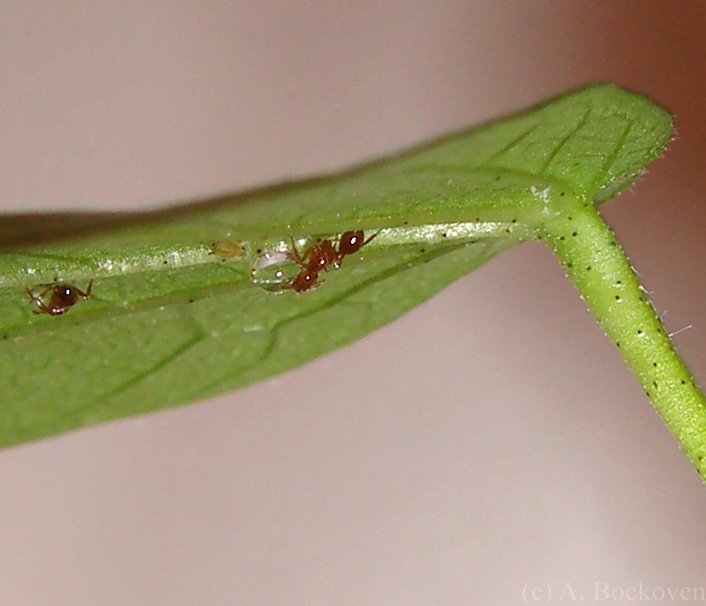 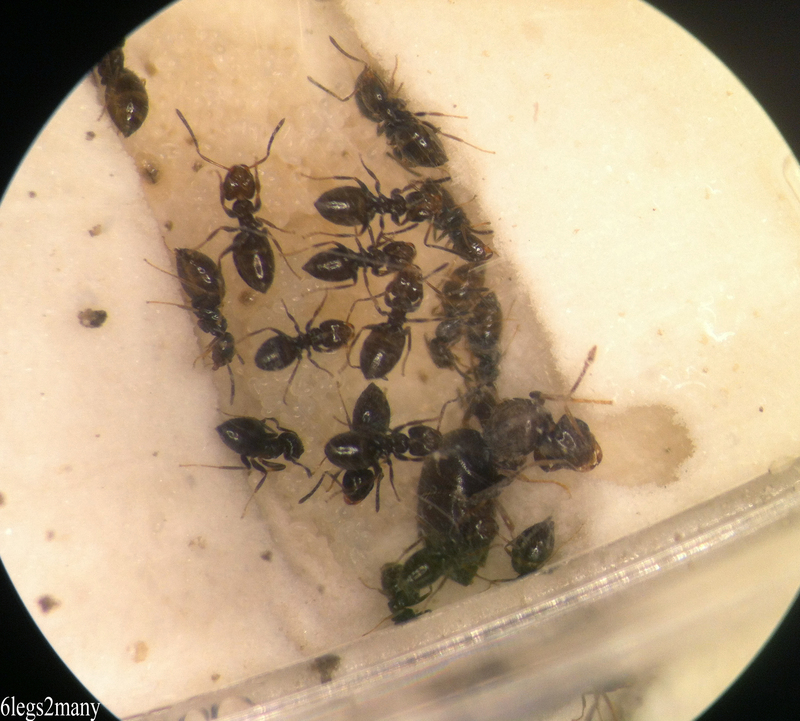 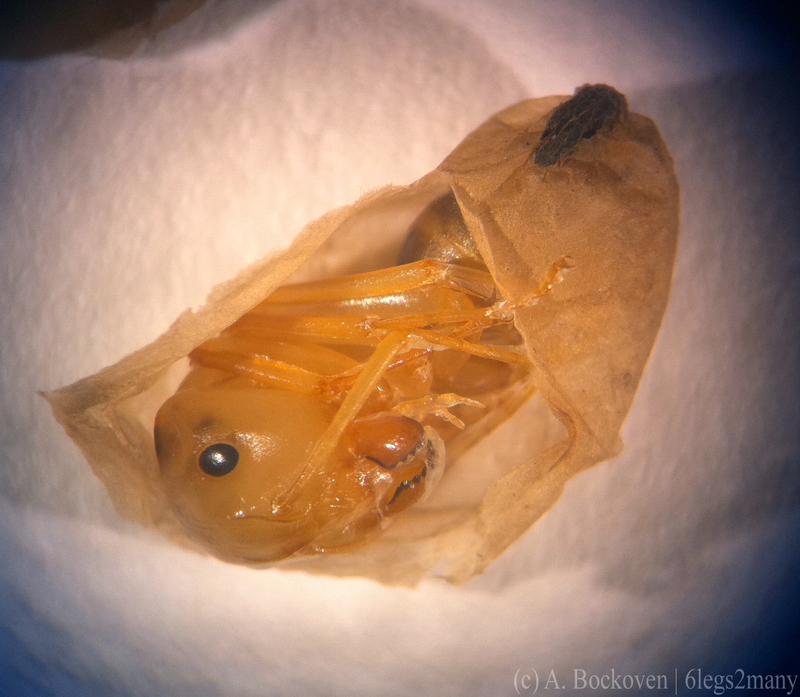 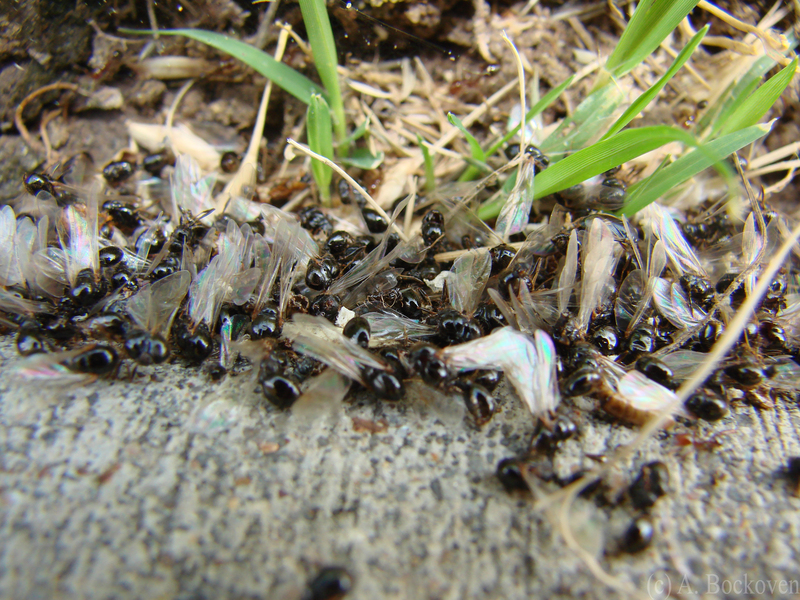 FYI, I believe these were Aphaenogaster albisetosa and Pogonomyrmex maricopa but don’t quote me on that.